When the lab results came back from my recent annual checkup, I found I had joined a club frequented by all-too-many of my fellow Baby Boomers. My AC1 score – a standard test used to diagnose diabetes - had crept up to the prediabetes range. I do have a sweet tooth, but I exercise regularly and think of myself as fit. The word diabetes, or even prediabetes, was not something I had expected to hear from my doctor. I quickly scoured the Internet for advice on how to tamp down my blood sugar levels. And when I found out that two of my closest friends had recently received similar news, I became even more determined to determine the best course of action to keep diabetes at bay. Fortunately, I work at UCLA, a major research university which at any one time is running hundreds of clinical trials on urgent medical issues. Perhaps there is a prediabetes study here that I would be eligible to enroll in as a study volunteer, I thought. My hunch proved correct. One ongoing clinical trial for prediabetes that peaked my interest, for example, involves taking a protein supplement. When I inquired further, I learned this study would involve frequent blood draws. That requirement, in all honesty, made me hesitant about proceeding further because I’m one of the unlucky people with veins that are hard to stick and sometimes it takes three to four tries by an experienced technician. It also underscored an important lesson. All clinical trials involve potential risks and benefits. So, it’s important anyone considering participating in such a study ask questions to help them make an informed decision. Having worked at UCLA for over 20 years, I was aware of the interesting research studies conducted for a myriad of diseases. So, it was a surprise to me that my friends with no research university exposure had little knowledge of clinical trials and how they work. 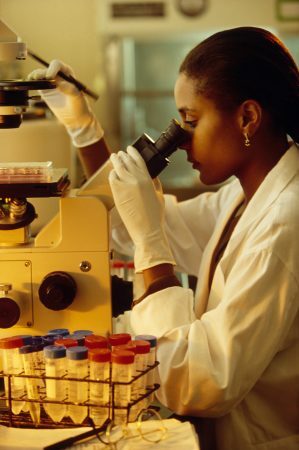 Clinical trials are conducted for a variety of reasons, according to the National Institutes of Health. Some test experimental treatments, others test new ways to prevent certain diseases from returning and still others test new methods to detect disease. Clinical trials happen in phases, designated as I through IV. Each phase has a different purpose. Phase I trials use a small group of people to check the safety, dosage and side effects of a treatment. Phase II trials look at the effectiveness and safety of a treatment. Phase III trials seek to confirm the results of the earlier trials, and compare the new treatment with other commonly used treatments. Phase IV trials are done after the treatment has been approved for the public. These trials collect additional information on risks and benefits of the new treatment. “The good news is many clinical trials test treatments that have already shown some promise of being more effective than existing therapies,” said Brennan. All clinical trials have guidelines that describe the criteria for participants. In most trials, one group of study volunteers receives a standard treatment, while another group gets the new therapy being tested. Should you sign up to be a study volunteer? Brennan encourages talking with your doctor and family to help you decide if enrolling in a clinical trial is the right choice for you. In addition, she recommends questions the NIH advises you to consider before deciding to participate. I’m grateful to have learned about the world of clinical trials from the researchers at UCLA, not to mention passing that knowledge along to my friends. If you live near a research university, you can check out their website to see if any research might be a good fit for your condition. You can be sure I’ll be keeping an eye out for future clinical trials that might be helpful for prediabetics, while upping my exercise regimen and watching my sugar consumption. In the meantime, carrots anyone?